World Giraffe Day at the Oregon Zoo. June 21, 2018. Portland, OR. Come celebrate World Giraffe Day at the zoo. World Giraffe Day is an annual event started by the Giraffe Conservation Foundation as a way to celebrate the longest-necked animal on the longest day or night (depending on which hemisphere you call home) of the year every year! It's a great reason to celebrate these tall, beautiful animals, as well as an excuse to support them and create awareness about the challenges they face in the wild. Spend today at the zoo as we mark the occasion along with schools, nonprofits, conservation organizations and other zoos around the globe. Help us raise awareness and support for giraffes, and learn what small actions humans can take to help them thrive. 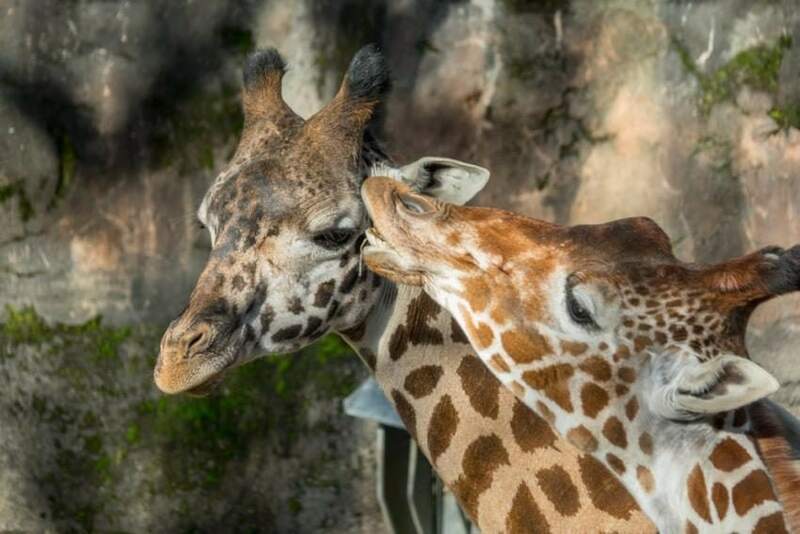 World Giraffe Day at the Oregon Zoo will feature keeper talks, giraffe-based activities, crafts, tattoos, photo ops and other fun stuff. Come learn about the world's tallest animal on the longest day of the year.